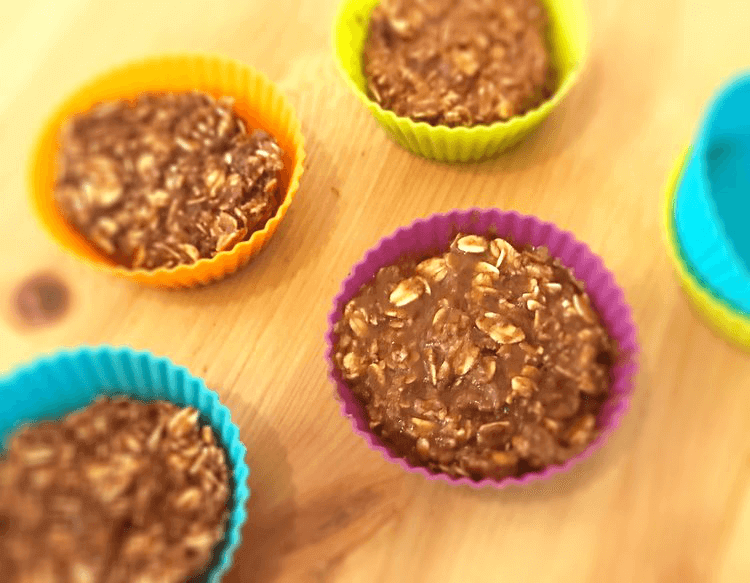 These quick & easy no-bake energy bites are the perfect solution to your hectic schedule. Made with peanut butter, oats and chocolate protein powder, it’s the perfect combo of carbs and protein for your post-workout snack. They’re portable too so you don’t need to be near a kitchen to enjoy their peanut butter, chocolatey deliciousness. This morning’s workout was one that I’ve been missing in my life lately and I’m so excited to start including it in my workout routine again. I decided to start incorporating more boxing on my conditioning days and I.LOVE.IT. It’s always been one of my favorite ways to fit more cardio into my workouts because, honestly, the cardio machines at the gym just don’t do it for me. Anyone else feel this way?! Anyways back to the new recipe! Whether you’re a morning, mid-day, or evening workout person, time ALWAYS seems limited. Am I right? So when you only have 10 minutes (or less) to make a post-workout snack, lets make it: quick, healthy and delicious. Oh and freezable is key too! 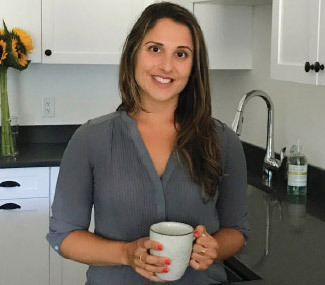 This recipe is a spin-off of my chocolate coconut protein bites, except this one doesn’t have to be baked (thank you protein powder!). Only 5 ingredients and no baking necessary. It also makes a great snack for the kids after school 🙂 It’s fun (and easy!) for them to make with you too. In a bowl, mix together all ingredients. Roll the mixture into 1-inch balls or place into re-usable baking cups (as shown in the photo above). Place on parchment paper and place in the freezer for ~10 minutes. Enjoy! When it comes to choosing sweet or savory, I ALWAYS choose sweet. This is one of my favorite “go-to” recipes to help satisfy my sweet tooth. Add all ingredients into a blender for about 30 seconds. Enjoy! This combination is perfect to tame any sweet tooth. 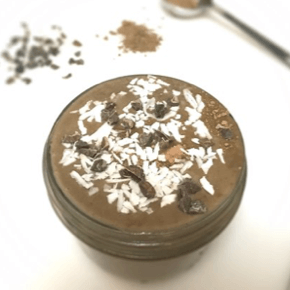 The frozen ripe banana provides a natural sweetness while the peanut butter and cacao powder make this recipe very tasty. The spinach provides an antioxidant boost and it’s a great way to sneak in extra greens that you won’t even taste. Depending on how you want the consistency, you can add more or less milk (less milk will provide a thicker consistency while more milk will make it thinner). **Tip: Make sure bananas are ripe before freezing. Once ripe, just peel off the skin, cut into 1 inch slices, place in a zip-loc bag and put in the freezer. Take out of the freezer and use anytime your sweet tooth hits.